This award winning and very hardy and British bred F1 mix has been developed for our climate. 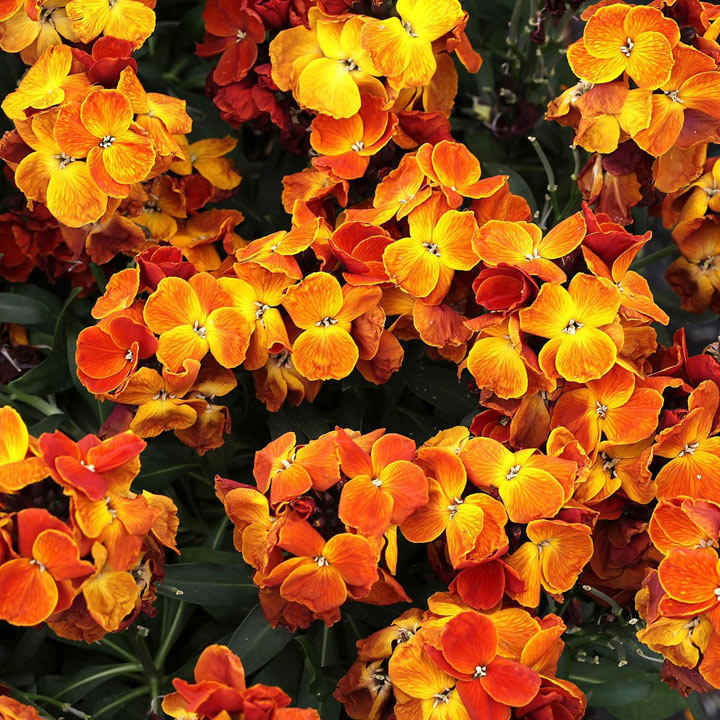 It's a great compact range that will usually flower in the late autumn, early winter and again in spring if not continually through this period. The flowers are fragrant. Flowers March-May, October-November. Height 20-30cm (8-12"); spread 20-30cm (8-12"). Supplied in 9cm pots. Orange - Bright yellow and burnt orange colours for that great warm look and feel.